Ministry of Railways has entrusted the work of redevelopment of Delhi Safdarjung Railway Station to IRCON along with RLDA by leveraging the commercial potential of the railway land around the station including RLDA’s office as well as air space above the railway station. 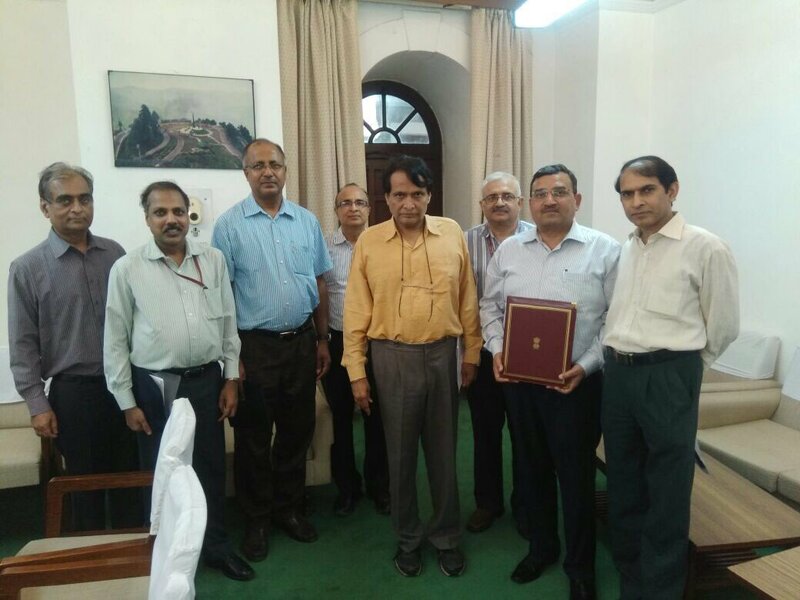 In the gracious presence of Shri Suresh Prabhakar Prabhu, Minister of Railways, Rail Land Development Authority (RLDA), a Statutory Authority under Ministry of Railways, Government of India signed an MoU for this purpose with IRCON International Limited, a Public Sector Undertaking under Ministry of Railways. Shri Rakesh Goyal, Vice Chairman RLDA and Shri S. K. Chaudhary, CMD IRCON signed the MOU. Delhi Safdarjung station is proposed to be developed on self-financing model for which finance will be raised through marketing of the commercial built-up area that will be developed on the surplus railway land and air space as part of the Station development project. The land and the constructed buildings will continue to remain under the ownership and control of RLDA and only the commercial built-up area will be leased for upto 45 years by RLDA . IRCON will carry out design, construction and marketing of the project. The Phase-I of the project will come up on the Moti Bagh side of the Station and is targeted for completion by January 2019.